Sayed Bibi is only 12 years old but she has travelled more than 70 dangerous kilometres by bus from the district of Marjah to bring her tiny nephew, Mohammed, to the therapeutic feeding unit at Mirwais Hospital in Kandahar city, capital of Kandahar Province in southern Afghanistan. "I brought him here because he is very thin," she said, cradling him in her arms. "He is the son of my brother - his mother is having another baby again soon, so she couldn't bring him." Other tiny children lie on the beds because most are too weak to stand, while their burka-clad mothers try to feed them. Mirwais, the regional referral facility, has the largest therapeutic feeding unit in southern Afghanistan and every year receives over three hundred children, usually between 6 months and 29 months old. The unit is supported by the UN Children's Fund (UNICEF) and run by the International Committee of the Red Cross (ICRC). "Food security challenges due to the economic instability, insecurity, displacement, lack of access to health services and safe water, increased burden of infectious diseases, inadequate feeding practices, are all factors contributing to the problem of malnutrition in young children in Kandahar Province," said Adriana Zarrelli, UNICEF Afghanistan chief of Health and Nutrition. The Taliban has stepped up its offensive in recent months and security in Kandahar has deteriorated. Taliban insurgents have reportedly taken control of swathes of Kandahar Province, and the insurgency has affected the functioning of schools and health facilities. Five people were injured in a bomb blast in Kandahar in mid-May. The UN has temporarily withdrawn most of its international staff from Kandahar city and around 250 local staff are working from home or coming to their workplace when they can. Dr Sirajuddin Kakar, a doctor at Sustainable Outreach Services (SOS), which provides nutrients to mothers, said the rising insecurity was preventing families from harvesting crops and accessing food for their children. "Just to step outside their front door has become a risk to many people. If a child is sick, a mother chooses to keep it at home rather than risk taking it to a health centre for treatment. Some children are literally starving in their homes because their parents are too scared, or unable, to earn the money needed to feed them properly." Hafiza, whose 16-month-old son, Zabihullah, has been receiving nutritional supplements at a Khan Kalacha health centre in Kandahar, admitted: "Sometimes there is no money and we have a hard time buying food - I think this may be a reason that Zabihullah has been sick." UNICEF encourages breast-feeding as much as possible but Hafisa said, "Sometimes my breast-milk isn't good, and when I need to feed him other food there isn't enough, or we can't afford to buy the milk and other things that I should be feeding him." The growing insecurity and ongoing fighting made the situation worse. 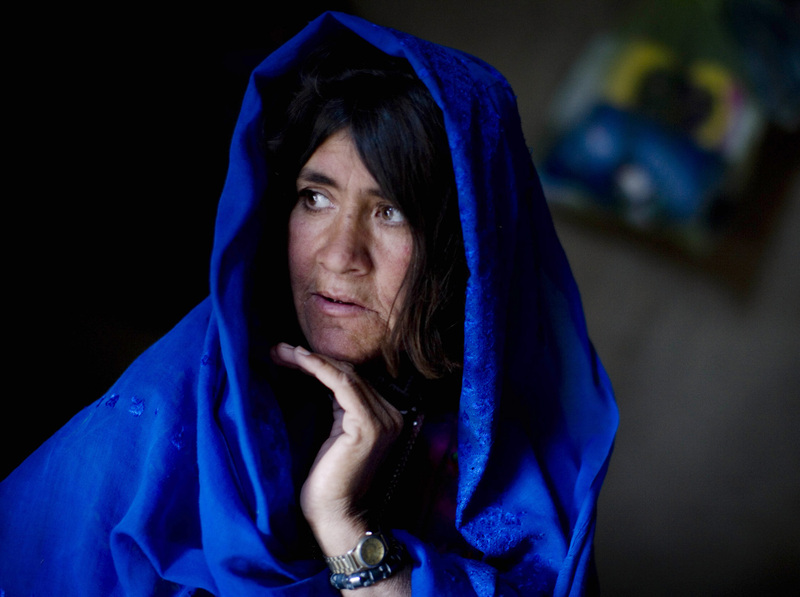 "Kandahar is a very dangerous city now, and sometimes we get too scared to walk outside to the shops to buy things," Hafisa commented. "It is also hard because there is not a lot of work around for my husband; there are many new people living around us who have been displaced by the war, and many people looking for jobs."